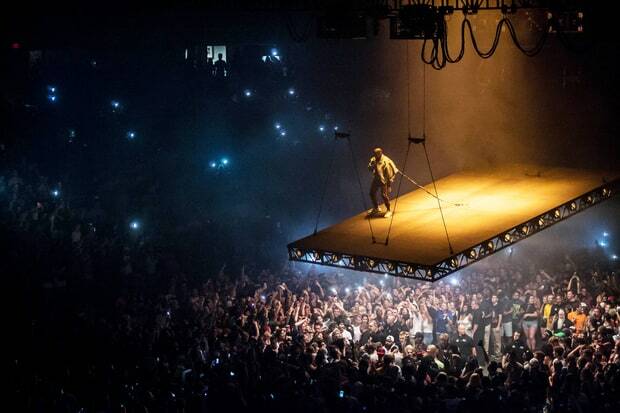 Kanye West, floating stage and all, has finally arrived in Boston. At least I think. Kanye’s tour has been one of the most anticipated of 2016 and should have technically started back in June at Governor’s Ball in New York City. Torrential downpours canceled the first live performance of The Life of Pablo in the United States, but it was okay because I scored a New York-exclusive hoodie. If setlists online are to be believed the TD Garden will hear over 30 songs from one of the most incredible catalogs in music, provided by one of the best live performers in history. If it weren’t for the oddly late start – doors are at 9PM with the concert beginning at 10:30, with no opening act – the show would be flawless. In fact, that Kanye has no opener is fairly brilliant, and makes for a tight evening of music. Here’s to an amazing show this evening, and if you haven’t gotten your tickets yet run, don’t walk, to resellers online to grab a seat.